I decided to trash in the What do you think? and have Fun Friday! 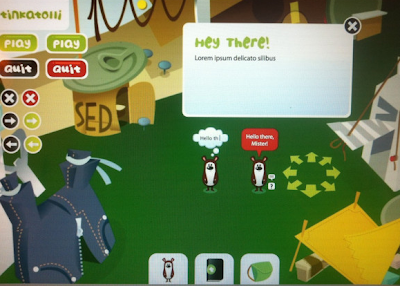 Here, I will have an interview, a Tinkatolli fun fact, and I will talk about a rare item, and why it is rare. What do you think of the new TinkaMaker contest? Edge: Plus, we get one thousand seeds if we win. What do you think of the Trader ribbons? Edge: Hard much? It's like a adrenaline rush to get first place! What do you think of the user made makeables? Edge: I think it's amazing what kids can create, btw.. go check out that helocopter!! That's awesome! 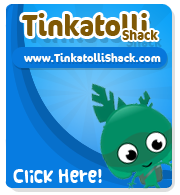 If you were a staff, what would you do to make Tinkatolli better? Edge: I'd just make giftcards of just cards.. you know, what cp uses.. those membership cards! Me: Yep I would like to see them too! 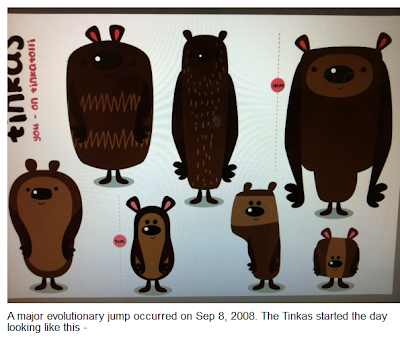 Before Tinkatolli was released, the characters weren't what we know today as Tinkas, they were Munki's! These are just test versions, but you can see the Seed place in the back like the one in Tinkertown, and the milk carton on the right side that can also be found in Tinkertown. The beach chair is one of the rarer makeables because now tinkas can only get one knife for their boat. Some early Tinkatesters had more than one knife, and used them on Beach chairs. So now, mainly if you want a beach chair, ask people if they would trade one. Comment if you want to be interviewed!